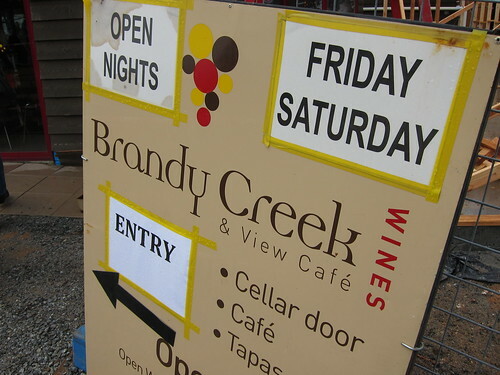 Brandy Creek Wines & View Cafe have been on many travel Melbourne shows for it’s pleasant scenery and of course, good food. It has been shown on Postcards, a Melbourne TV travel and food show, a while back and I couldn’t catch it’s name. So I searched endlessly and gave up eventually. However, maybe a year or two later it was shown on Coxy’s Big Break, but I missed the name again. For some reason, I just ended up searching ‘Victoria Paella’ and Brandy Creek Wines shows up at the top. 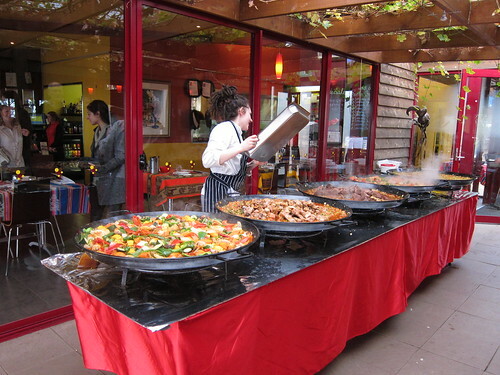 Located in Drouin East, near Warragul, their Paella Feasts are quite an attraction. 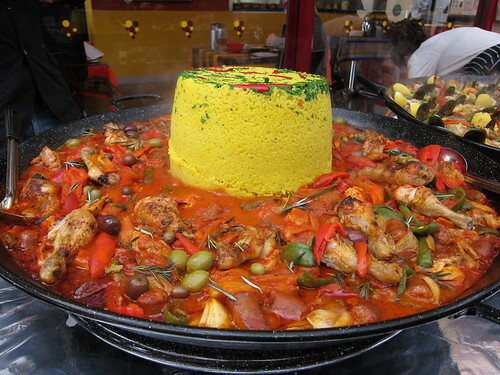 With 6 large bowls of 5 different styles of Paella, and one cazuella. You definitely get your monies worth here. 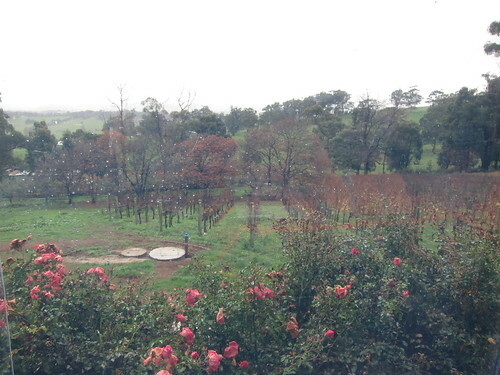 Outside you can see their beautiful vineyard. Although it was drizzling that day, it was nonetheless a pleasant viewing experience. 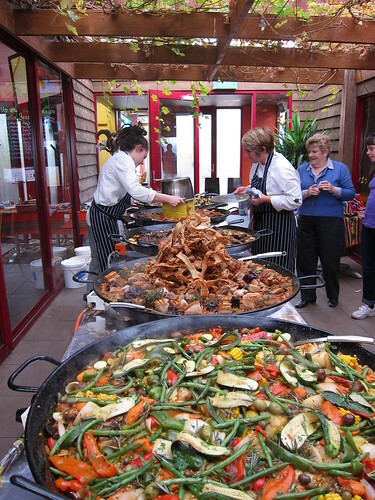 With their Paella Feasts, you are provided a selection of tapas. 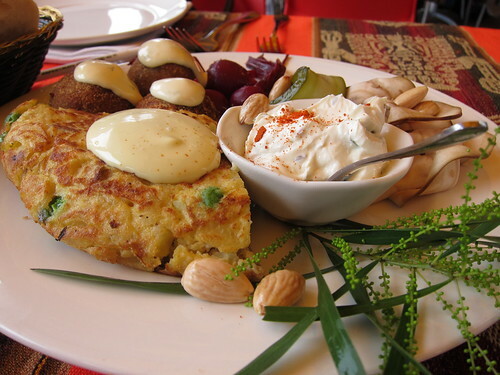 The golden brown potato tapas (Obvious I don’t know much about Spanish food isn’t it?) was fantastic. This was preapared by Head Chef Courtney Websdale. 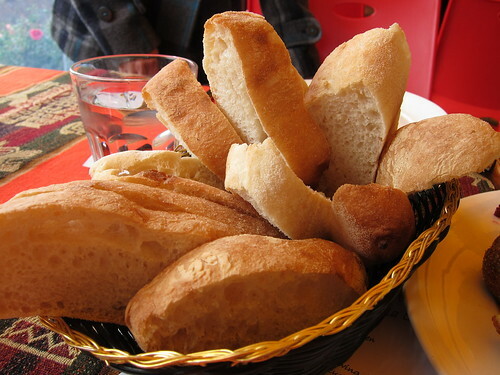 Nice fresh bread to go along with the tapas. 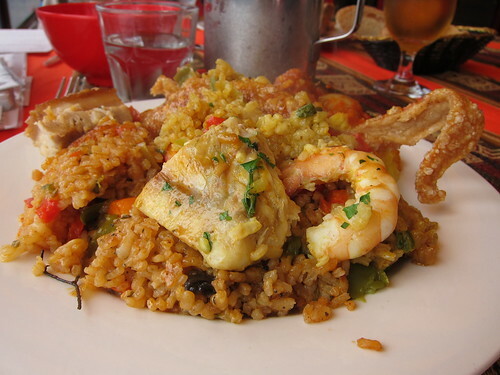 Now for the main meal… This particular paella was made for Vegetarians. However, that’s not to say it was in anyway inferior. It didn’t need any meat to make it taste good. With all these fresh vegetables cooked with a tasty stock and nicely cooked rice, what could go wrong? 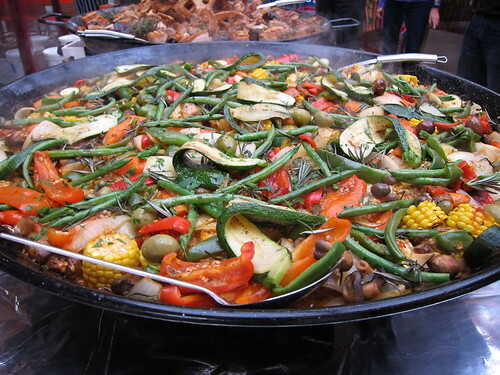 This Paella is a Photographer’s delight. Also a Pork lover’s delight too, might I add. 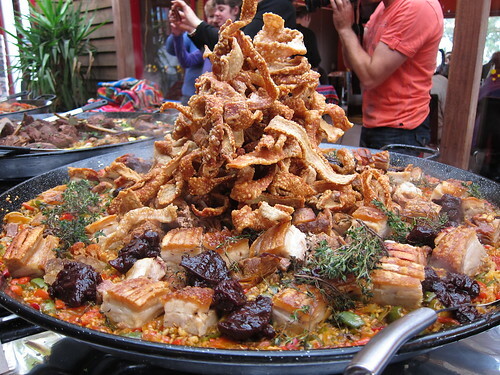 Their Paella Cerdo y Conejo is a mix of succulent pork, rabbit and apple Paella, topped with amazingly crunchy crackling pork. I have nothing else to say about this one, it was fantastic, and also the first time I’ve eaten rabbit, which had a great flavour to it. 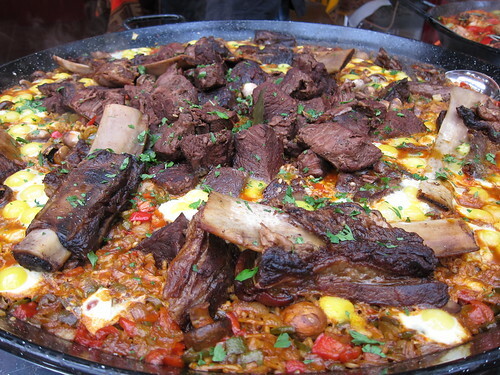 The Paella Machega is cooked with beef, mushroom, quail and egg. The beef was very tender and I can’t really fault it. The Chicken & Chorizo Cazuella was probably my favourite one. Funnily enough, it isn’t a paella but tasted great nonetheless. This had tender chicken, and spicy chorizo with saffron rice. The slightly salted chorizo combined with the tomato based sauced, it just appeals to the inner Italian in me. The Paella de Marisco aka Seafood Paella, had all the great makings of a great seafood paella. Jam packed with fish, prawns, mussels, claims, calamari and baby octopus. It definitely was a seafood lover’s dish. For me it had an overpowering mussel flavour, only because I made my Seafood Risotto not long before this and that was packed full of mussels. So I definitely had my mussel fix by then, and of course I could only notice the mussel flavour here so although it wasn’t something I would go back for that day. I can’t ignore that it was well cooked and had great flavours to boot. My selection of paella from the 6 dishes. You also get a choice of three desserts. Since there were three of us, we managed to try them all! These Spanish doughnuts can be found in a couple of Melbourne eateries now adays, and these crunchy little things were quite tasty I must admit. 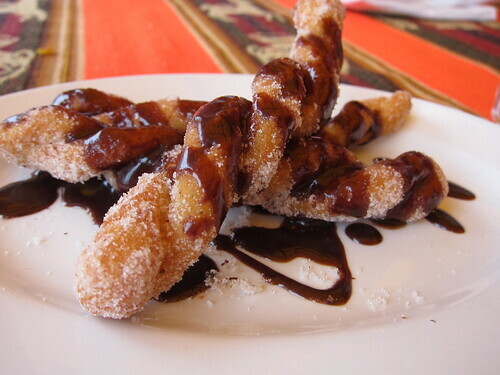 The chocolate sauce wasn’t too sweet like you can find in Spanish Doughnuts Churros franchises, and these churros have a higher crispy to dough ratio (because they are thinner) but it was really good. This was probably my favourite dessert. 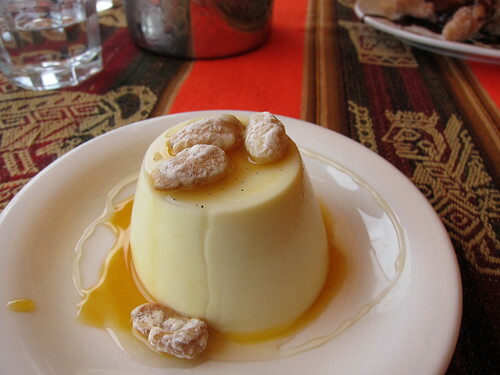 Yes yes it’s just a panna cotta, but it was an (If I can recall correctly) an Vanilla Panna Cotta, with Candied Walnuts and an Orange sauce. It was simply silky smooth and tasted amazing. 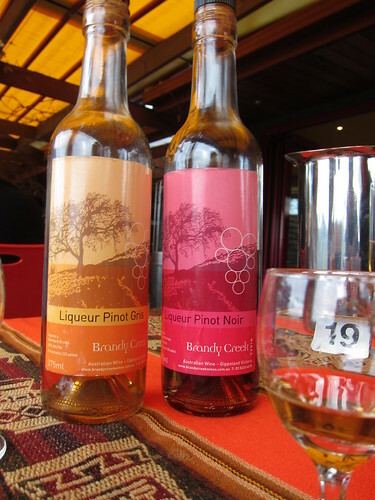 Along with your desserts you get to sample their in-house liquers. They definitely go well with their desserts and I had to unfortunately lay the responsibility of designated driver onto my mother because who can resist free tastings of liquers. 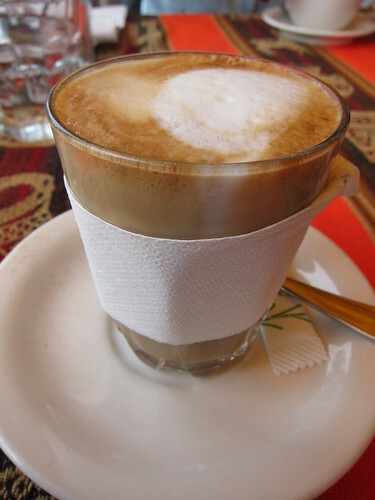 To top it off you can order coffee or tea to end your fantastic meal. 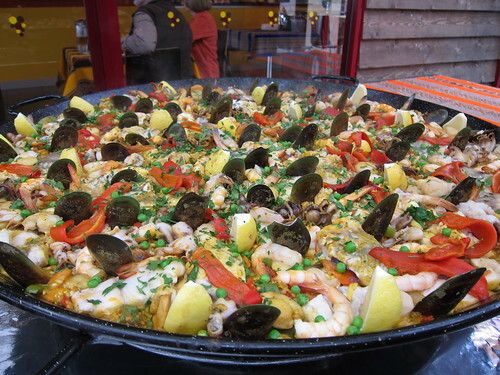 Although their Paella Feasts are probably more on the pricey end, a great selection of paella (which you can go back for seconds or thirds, or even takeaway some too! 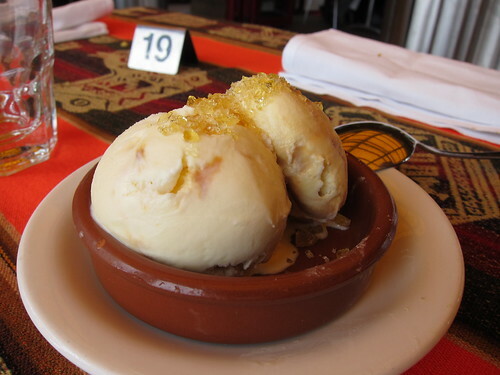 ), dessert, tapas, samples of their alcohol and warm drink to complete your meal. It definitely is worth it. You will need to book for these as there are limited seats (I believe it houses 100) each weekend and they fill up quickly! Also be warned, you will be satisfied.